As a child, Noemi Ivanova dreamt of becoming an interior designer. Raised in a family where her father is an artisan and her mother has a strong passion for knitting and sewing, she early discovered her interest in handicraft. Thus, working with her hands and creating things are Noemi’s biggest motivations for everything she does. Her dreams of interior design were put on the shelf after an internship at an interior design company, where Noemi realized that most jobs concerned office environments and public spaces. Instead, she started making lingerie. Founding her own label, Made by Noemi, in 2004 with the vision of combining fashion, function and style into lingerie. She wanted to give women an alternative to all the push-up-bras and g-strings that were the norm at that time in Sweden. The inspiration and the way of thinking behind her work still originates from interior design, and in her home the interior design magazines receive most of her love for magazines. The constant interaction between function and style when it comes to furniture and interior design is what motivates her and inspires her to create lingerie that follows the same line. Everything that is beautiful also has to be functional and possible to enjoy in daily life. 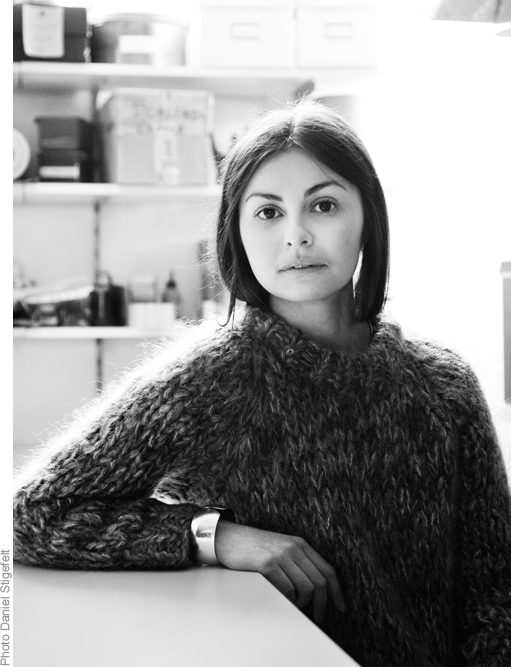 The designer Noemi Ivanova, with roots in both Russia and Chile, lives in Stockholm, Sweden. A week consists of seven days and, usually, only two of them are days off work. Hence it’s hardly those all-to-short weekends that are tough to get through, but those grey, boring, full-of-things-that-must-be-done Tuesdays I want to create garments for these days and moods. My belief is that a person that feels comfortable radiates beauty and lingerie is the foundation on which everything else is built. Everyday luxury is no longer a bonus, it’s a given fact. We all have that perfect outfit that we love, which, in some magical way, always makes us feel wonderful when have no idea what to wear. This feeling fascinates me and I try to recreate it with the pieces I create for Made by Noemi. That is everyday luxury to me. Free shipping on orders over 500sek within Sweden / over 1500sek within EU. You can at any time unsubscribe or change your details for the newsletter!